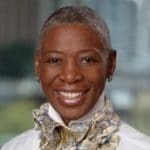 Recognizing how many leaders needed guidance transforming ordinary talk into meaningful action, Karen founded Bridge Arrow, a global D&I management consulting firm and expert hub. She is currently working on a book about how women are excelling in the male-dominated worlds of technology, startups and venture capital. Visit Bridge Arrow to contact Karen for speaking and consulting engagements.